Gideon: Your weakness. God’s strength. When we hear the name Gideon, most of us think about his 300 soldiers or the fleece he laid out under the evening sky. But Gideon’s story is so much bigger than that—bigger than any one man and his mark on Israel’s history. Like everything else in the Bible, this is a story about God and His people. His love for them, as well as His strength operating in spite of their weakness—even through their weakness. 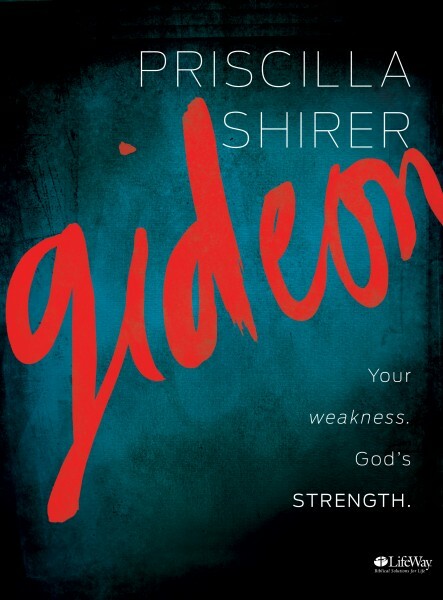 And because God’s people includes you and me, Gideon’s story is also about us—our lives, our doubts, our struggles, and our possibilities as believers. From a state of fear, weakness, and insecurity, Gideon emerged as Israel’s hero, filled with God’s presence and His passion for deliverance. This study will encourage you to recognize your weakness as the key that the Lord gives you to unlock the full experience of His strength in your life. In what ways do you feel insufficient? Those places create the greatest opportunity to experience the sufficiency of God. Instead of ignoring, neglecting, or trying to escape your weaknesses, see them as the gifts that they are, given specifically and strategically by God to unlock the door of God’s strength.